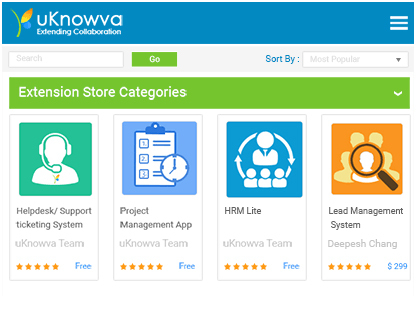 uKnowva is a 360-degree solution for your everyday business requirements like people management, customer servicing, invoicing and corporate collaboration. Built keeping mobility in mind. Easy to Use and AdministerAll features of uKnowva are extremely user friendly. This makes it very easy to use for the users and administrators alike. Scalable & RobustImproving or building on uKnowva’s innumerable features is limitless. This strong and unshakeable system can take it all. Cost EffectiveuKnowva is completely open source, thus making it more affordable and with more ROI than other licensed tools. 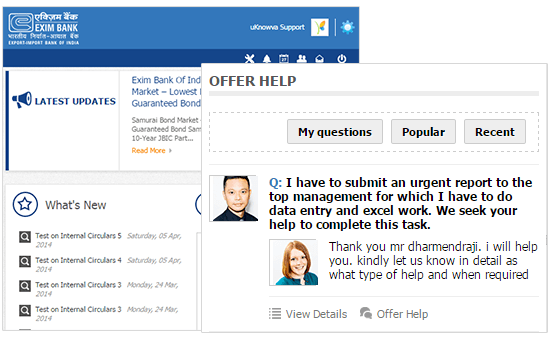 Available and Accessible With prompt support, you can rest assured that all your queries will be resolved in a timely manner. Available on Mobile Get complete freedom to use any device and get the same awesome experience. Available as an app for Android with the iOS app coming soon! 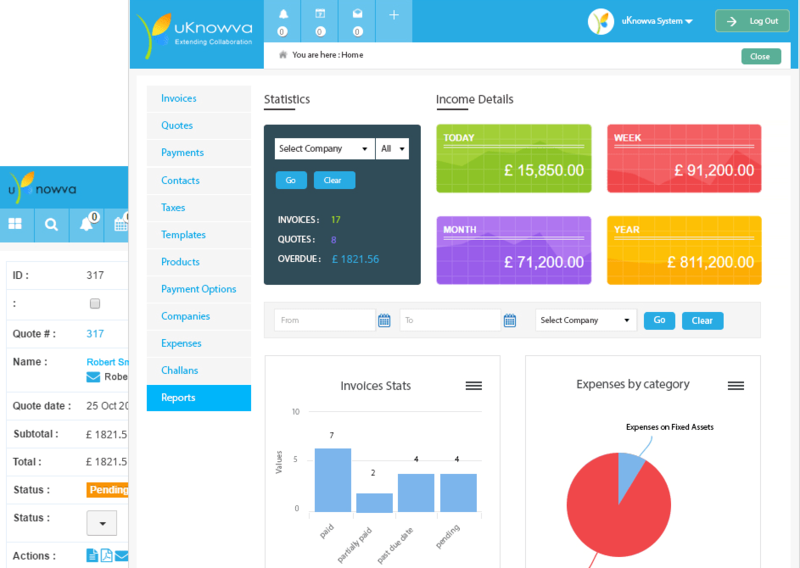 One-stop SolutionuKnowva has all the features required in business software. 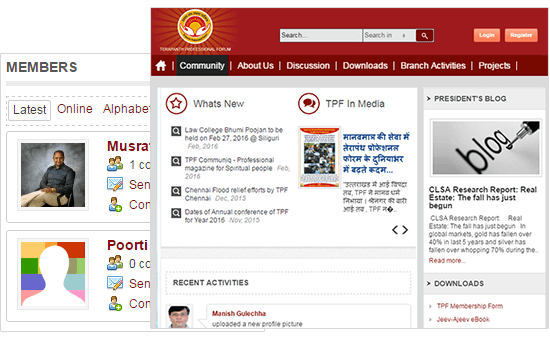 The features not available can be downloaded or developed and integrated. We don’t serve customers; we work with them. 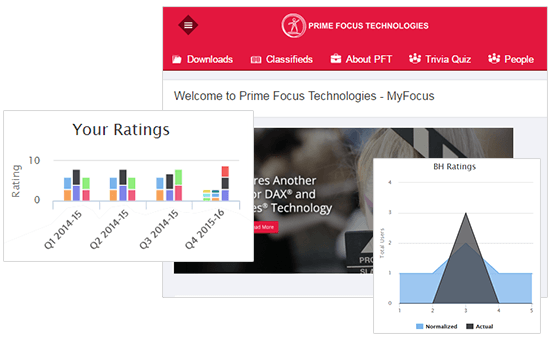 2014 uKnowva was featured under the "Unified Communication And Collaboration" category in the Product Excellence Matrix report by Frost and Sullivan for being a holistic support platform that caters to all modern-day business needs. 2013 Nasscom IP4BIZ rewarded uKnowva as one of the cloud connect winners in the made-in-India category for its excellent interface and features that cater to global business needs. 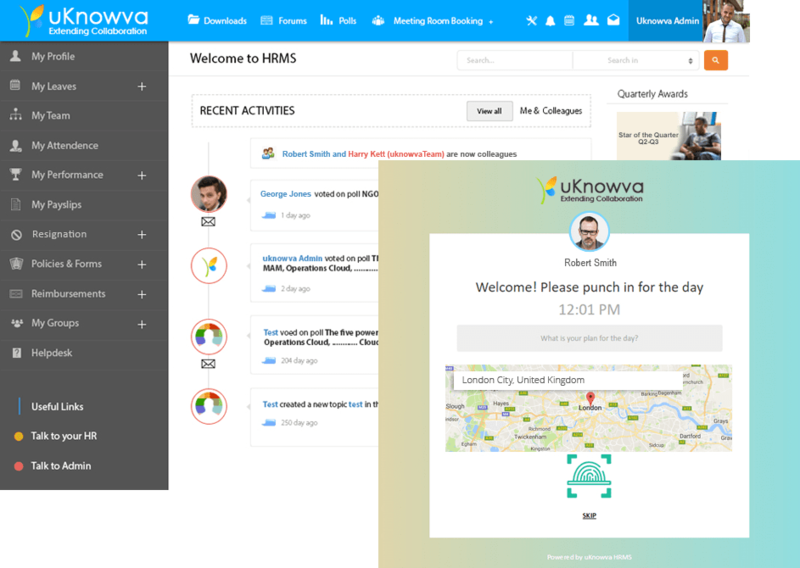 2013 NextBigWhat presented uKnowva as a well-built enterprise collaboration software with multiple interactive features, especially suitable for corporate social bonding. 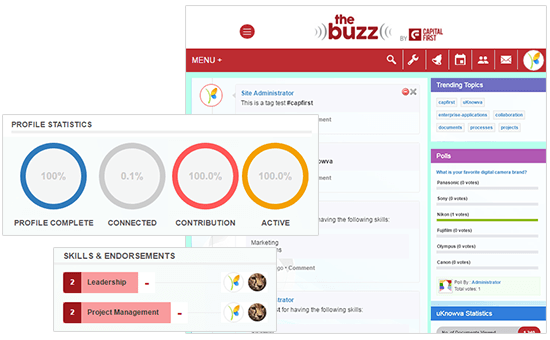 2012 uKnowva got picked for an interesting story by YourStory, for being a robust platform with expedient social engagement and data management features to make life at work easy and more interactive. Biren, Vicky and the Entire team have done an incredible Job, the portal has come up fantastically well!! I personally am enforcing my complete team to stop sending me emails and communicate with me only through uKnowva. 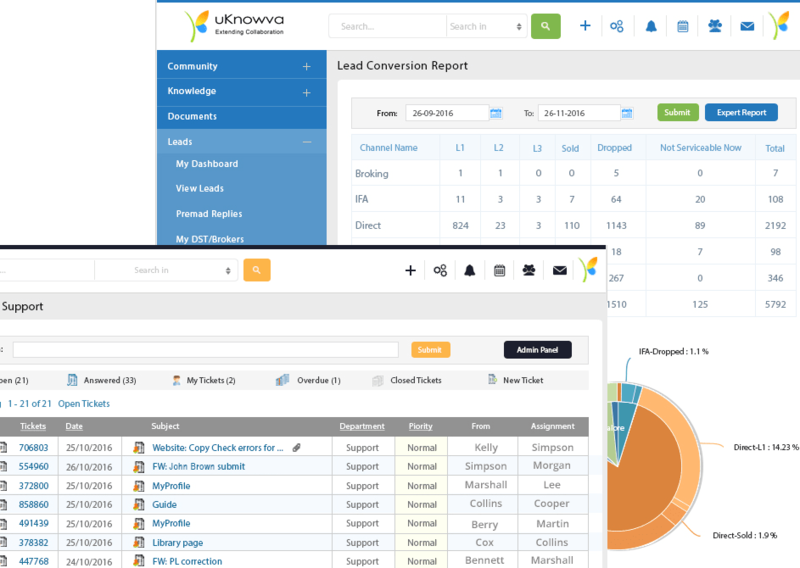 uKnowva is stuffed with enterprise grade features to help organization carry on with their daily business activities in a best possible manner. 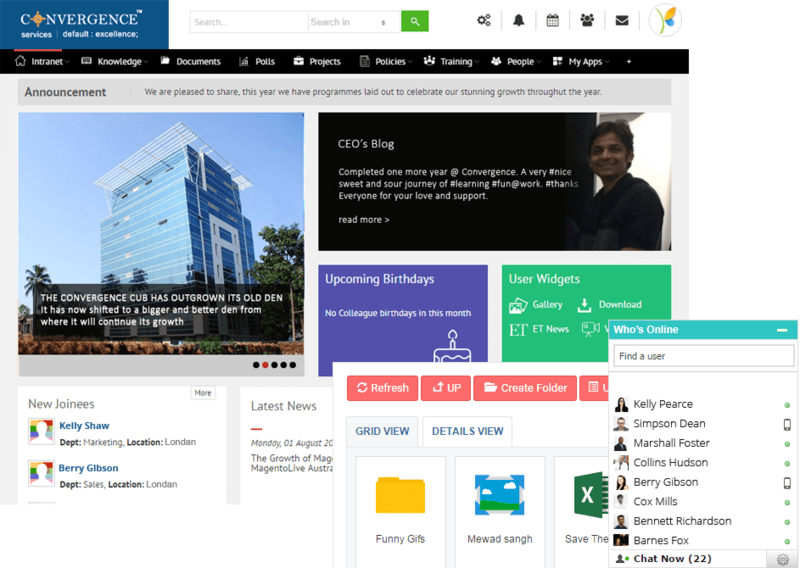 It has helped us bring our entire organization on a single platform and also automated many of our processes. 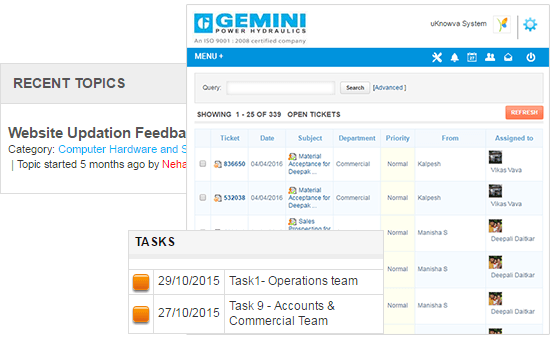 It has helped us improve our internal operations and thereby our overall efficiency. Don’t settle for less when uKnowva gives you a variety of useful add-ons to choose from. Just visit the uKnowva Extension Store and browse through the wide range of apps that can make your daily tasks more fun and easier to perform. If you are a developer, join the uKnowva Developer’s Community today. As a uKnowva developer, you get a chance to create your own uKnowva Extensions and earn from them as well.